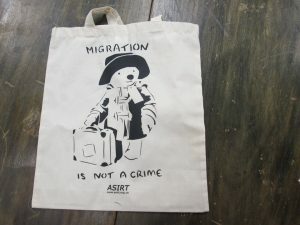 You are here: Home / Fund Raising / Support ASIRT’s Paddington Children’s Project with Tesco’s ‘Bags of Help’. Many thanks to Tesco Supermarkets for entering ASIRT into the ‘Bags of Help’ initiative. To help us win a grant of up to four thousand pounds, which will go directly to support children in the West Midlands disadvantaged because of precarious immigration statuses, visit one of the participating branches and ask for a token to vote for our project!